Delicate lace, a classic sheath cut, and a flirty high low hemline make this a chic look for any occasion. The High Low Point Lace Sheath Dress is made of lace and is fully lined in beige. 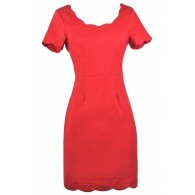 It has a rounded neckline, wide shoulder straps, and a classic sheath cut. One of our favorite things about this dress has to be the flirty hemline that is slightly longer in the back. A hidden back zipper completes this dress. 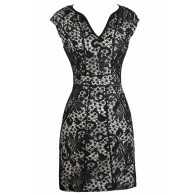 The High Low Point Lace Sheath Dress looks nice paired with beige pumps or strappy heels for any dressy event. This would also make a cute lace bridesmaid dress. Details: Fully lined. Hidden back zipper. 100% polyester. Dry clean only. Small measurements: Length from top of shoulder to hemline: 35-40". Bust: 32". 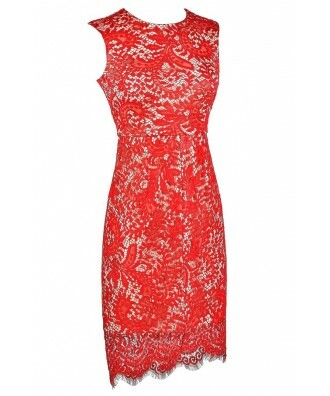 You have added High Low Point Lace Sheath Dress in Bright Red into Wishlist. 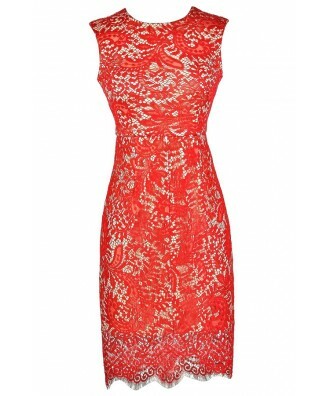 You have added High Low Point Lace Sheath Dress in Bright Red for Stock Notification. 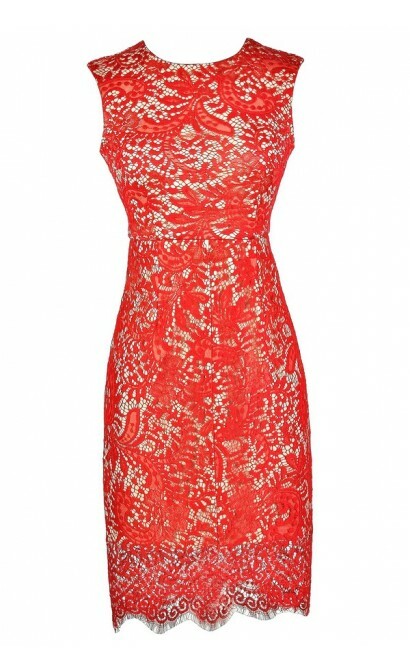 You have set High Low Point Lace Sheath Dress in Bright Red as a loved product. 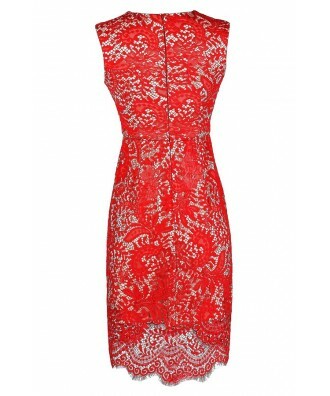 You have removed High Low Point Lace Sheath Dress in Bright Red as a loved product.